Bill of sales is an agreement that transfers the authorship/ownership of goods/service from one party to another party. It includes the seller’s details, buyer’s details, and product description along with the price of the product. If you own a business and looking for sample Generic Bill of Sales, then below we have made a collection of 20+ sample bill of sales documents for your help. Select the best document that matches your business and prepare a bill of sales quickly. This sample contains two similar form fields. 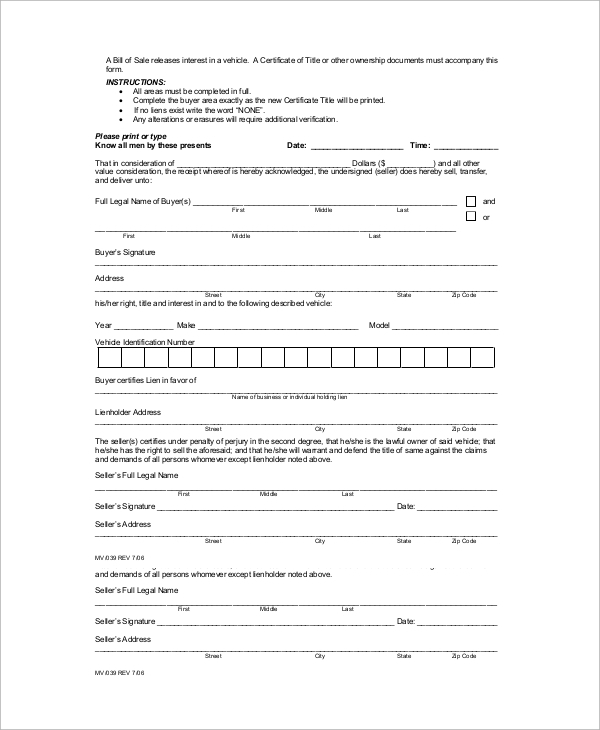 Fill out both the forms and keep one copy with you and present the second copy to the customer/buyer. 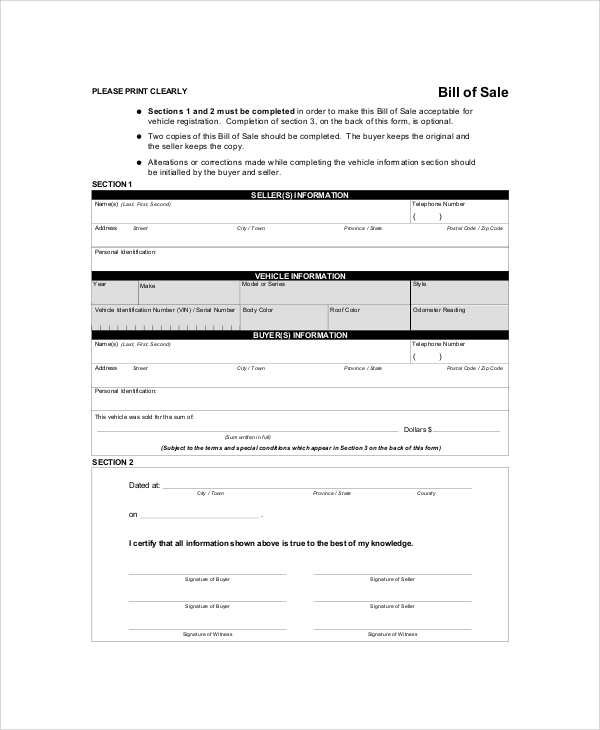 Blank bill of sales template is the best document for preparing a custom sales bill. Download the PDF, take a printout and fill necessary details in the empty boxes as mentioned in the square bracket. 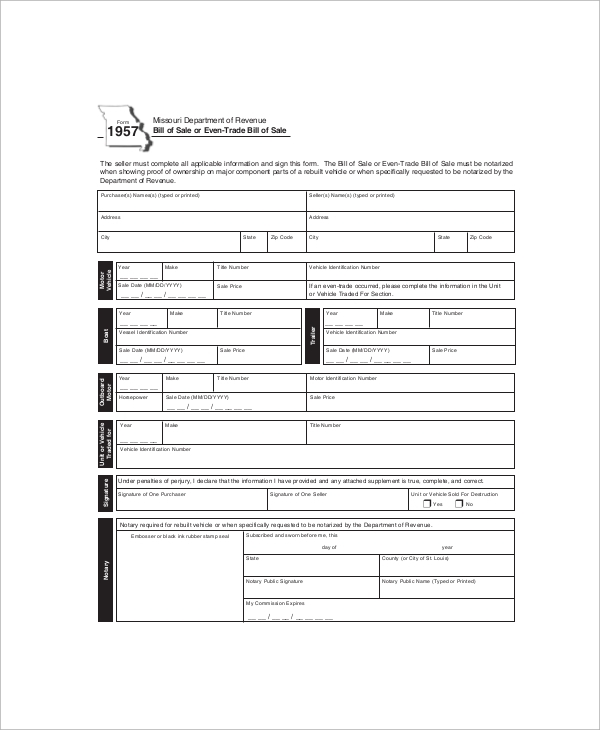 Download this sample bill template and take a printout. 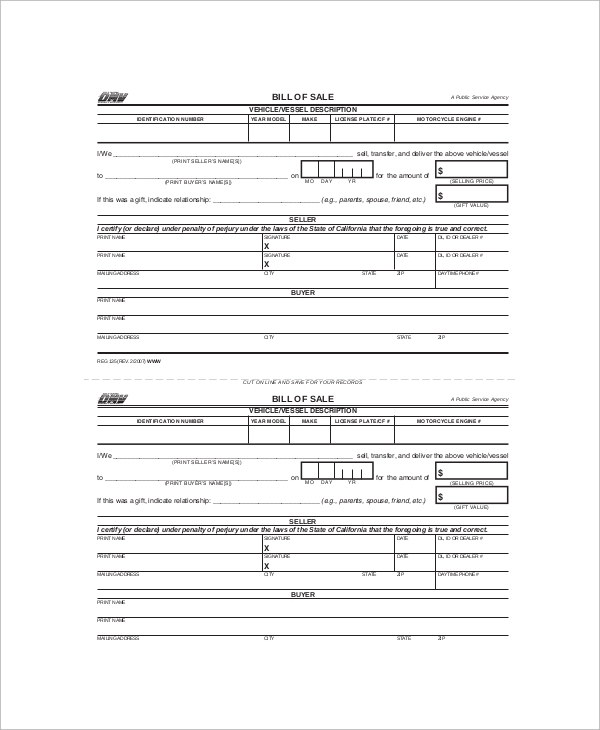 Fill out all necessary input fields and make a custom sales bill. It is available as a free downloadable item on our site. Make custom bill of sales quickly by downloading and printing this basic sales bill. Sellers can use it as it contains all necessary input fields and terms and conditions linked with the deal. Business bill of the sample is a basic PDF template that allows offline desktop customization. 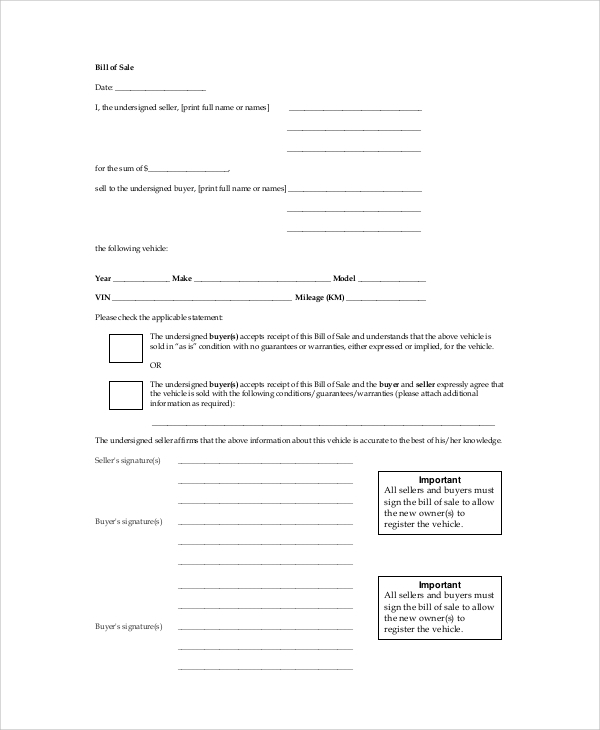 Fill the necessary details, take a printout and sign it. You can save both time and money using this template. You do not have to prepare a custom car bill of sales template or document from the scratch. Download the template, customize the editable PDF document, take a printout and your car bill of sales is ready. 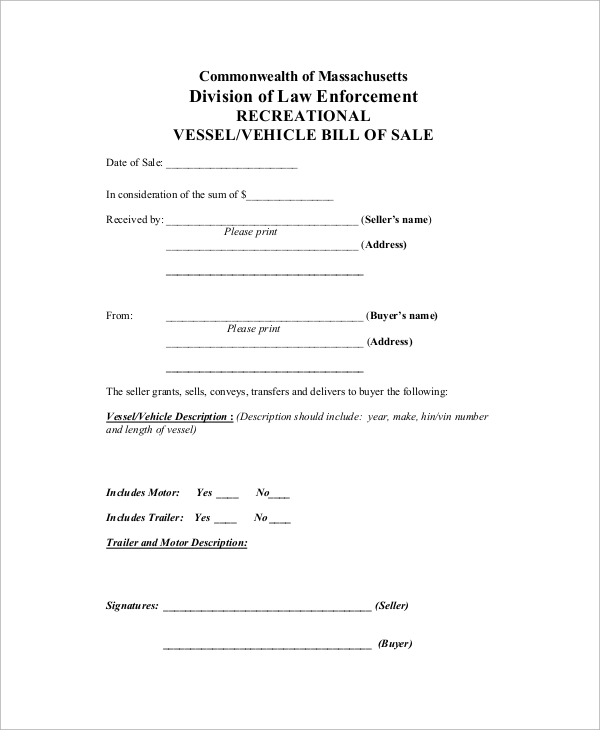 Download the document and get access to sample DMV bill of sale PDF document. Either take a printout for hand customization or prepare a different bill of sale using the reference. 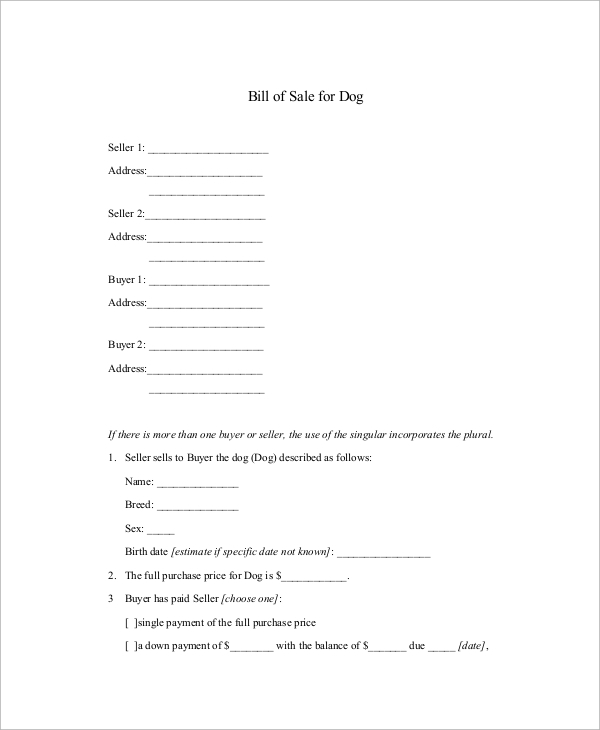 If you sell a dog or any pet animal, then this dog bill of sales sample is a useful document. Print the PDF and prepare custom dog bill of sales for recording such transactions. Download the document and take a reference to design a different equipment bill of sales for clients on demand. Check all basic terms and condition and give place to them in the custom copy. 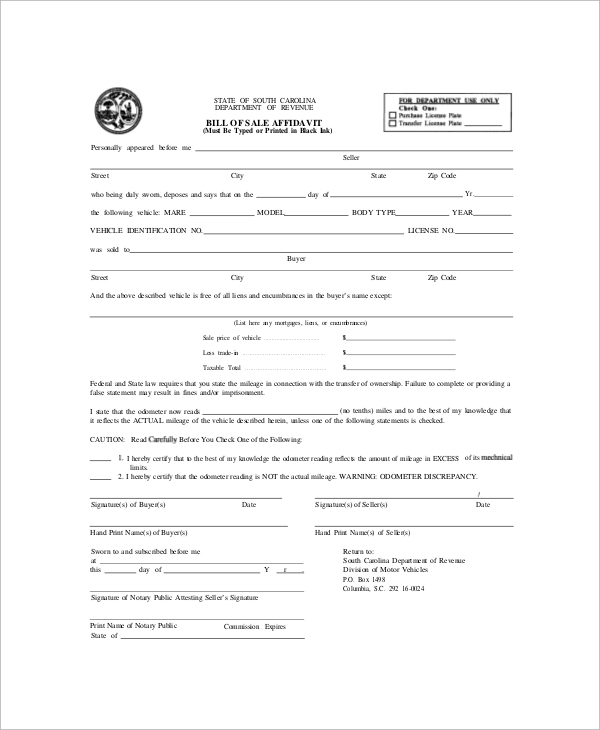 Create a custom affidavit bill of sales within minutes by downloading the above PDF. Check all input fields, terms and conditions, structure to prepare a custom document. Download a free bill of sales and get rid of designing and making a customs bill of sales. 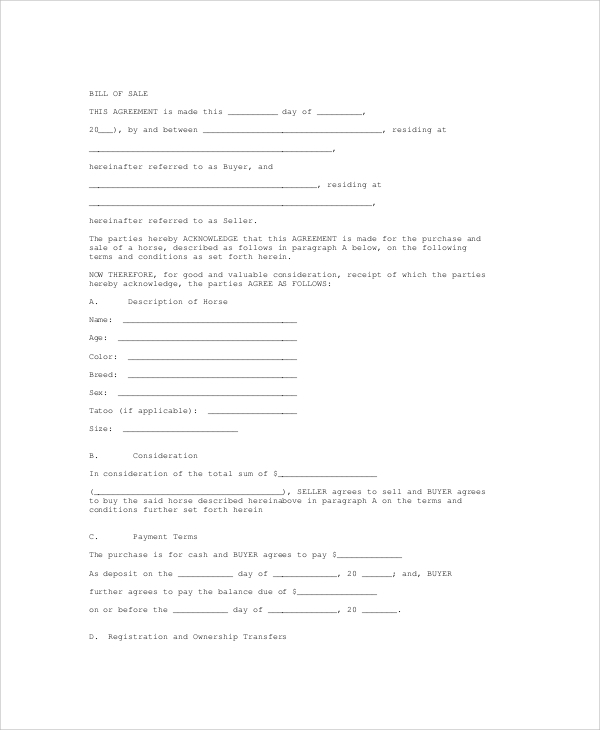 Open the PDF document, fill out all input fields, take a print and take signatures. Your bill of sales is ready. 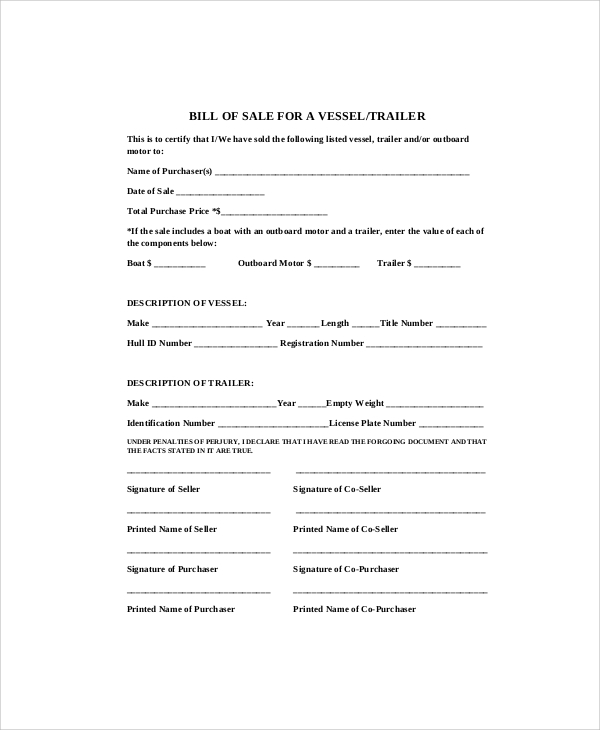 Download the document and get access to the general bill of sales form. Enter all details in the blank brackets and take a printout. 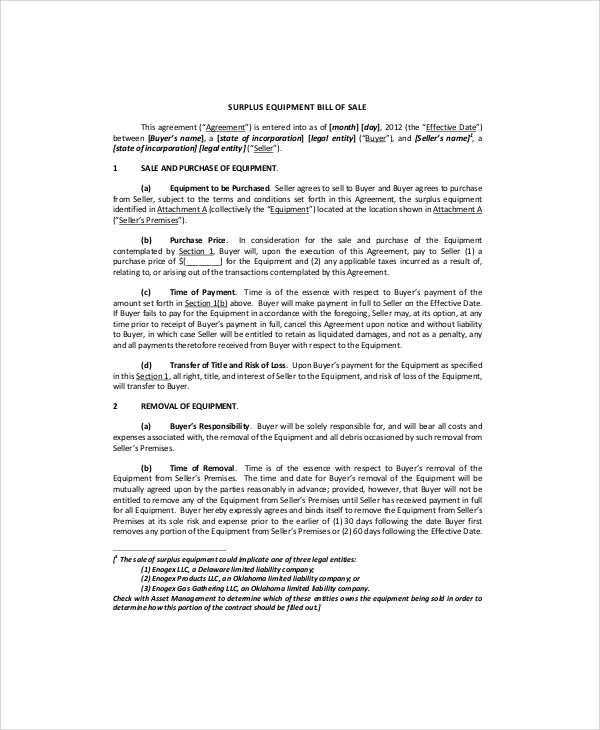 Sign the document for a deal authentication. 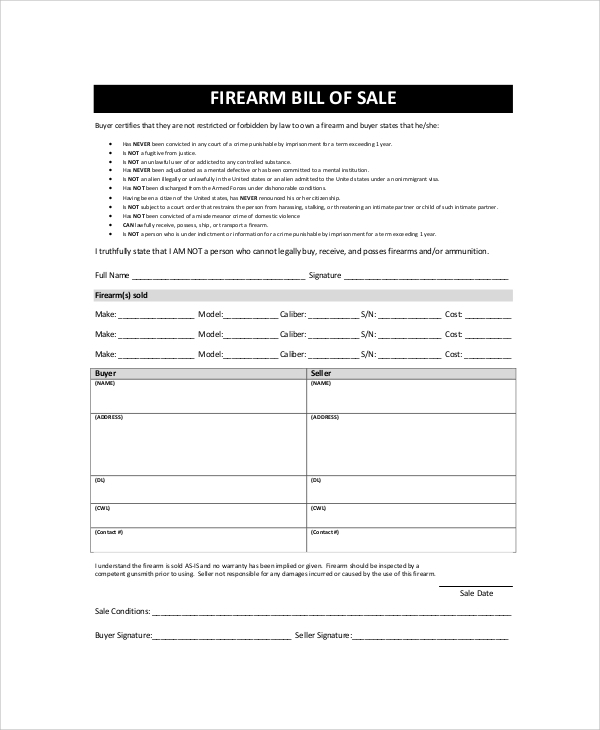 If you are looking for a custom firearm bill of sales form, then download this template and make instant custom firearm bill of sales within minutes. It covers all terms associated with firearm purchasing. 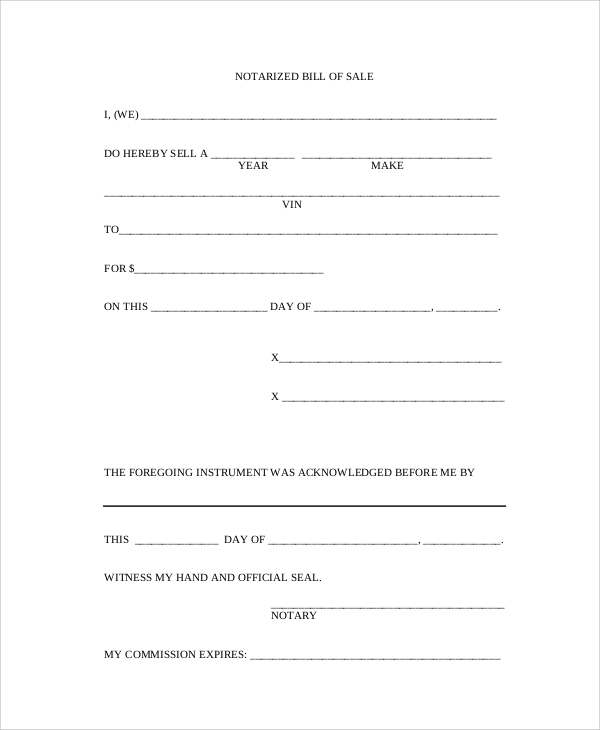 If you are a horse seller and seeking for a ready-made custom bill of sale document, then download this bill of sales document and print it for maintaining custom sales transaction. 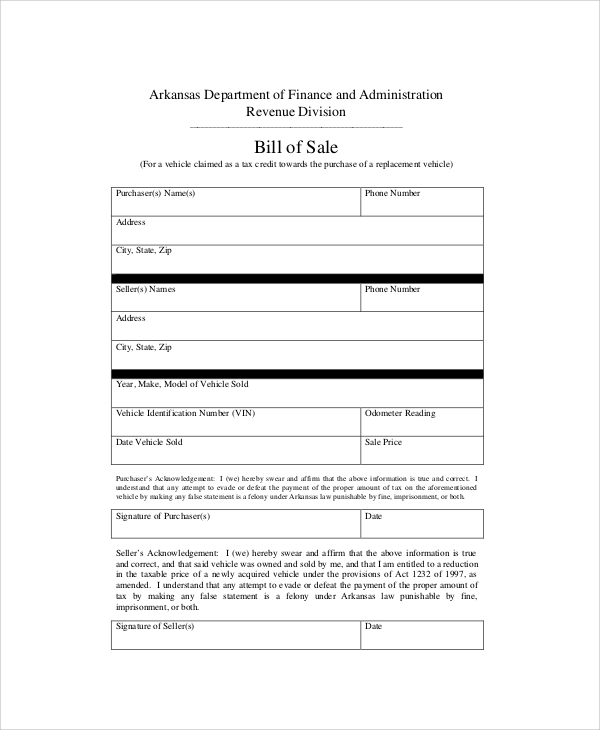 Revenue bill of sales sample is a ready-made sample template available as a free download and print. 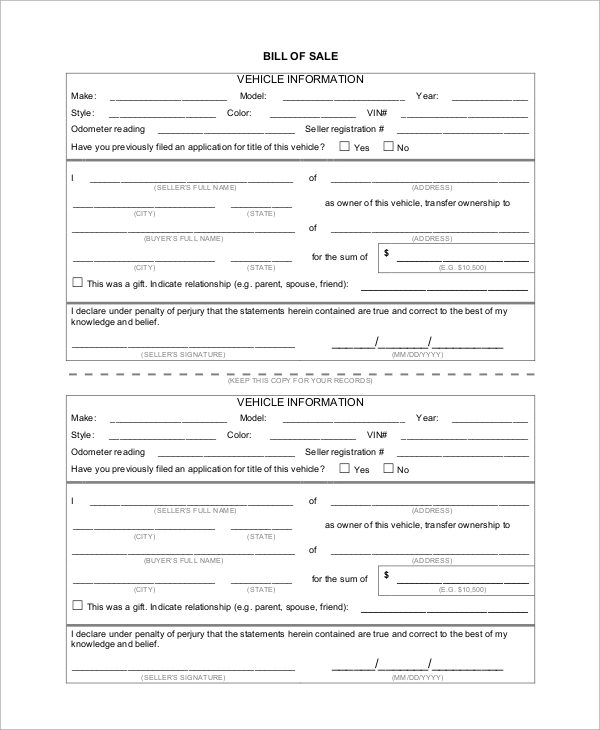 Enter necessary information like vehicle details, customer’s details, and your detail and sign it. If you are looking for sample trade bill of sales, then download this PDF document for reference. Either use the editable PDF form or create a custom trade bill of sales document. 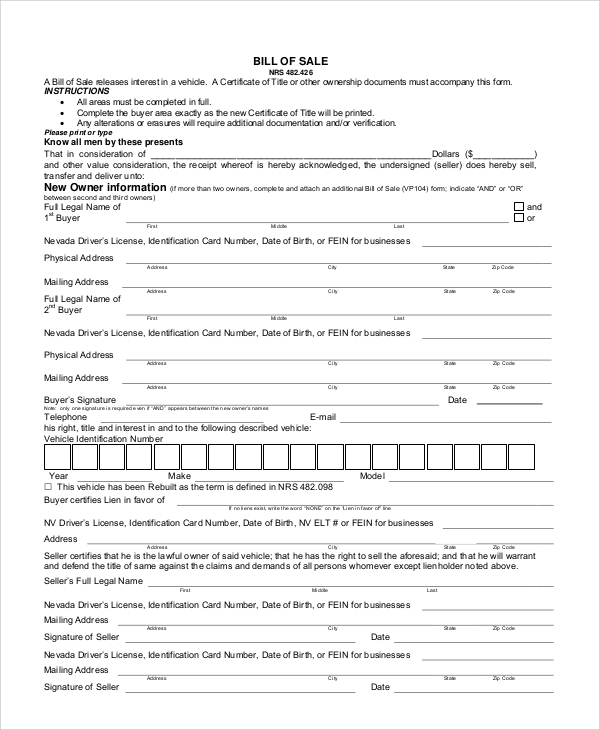 Print this document for an instant motorcycle bill of sales documentation. It contains spaces to record the seller’s details, buyer’s details, and motorcycle details. Also, include payment, warranty, and other information in the document. Prepare custom bill of sale document by downloading the above PDF document. Check copywriting, input fields and create the customs bill of sale form using the digital editor. 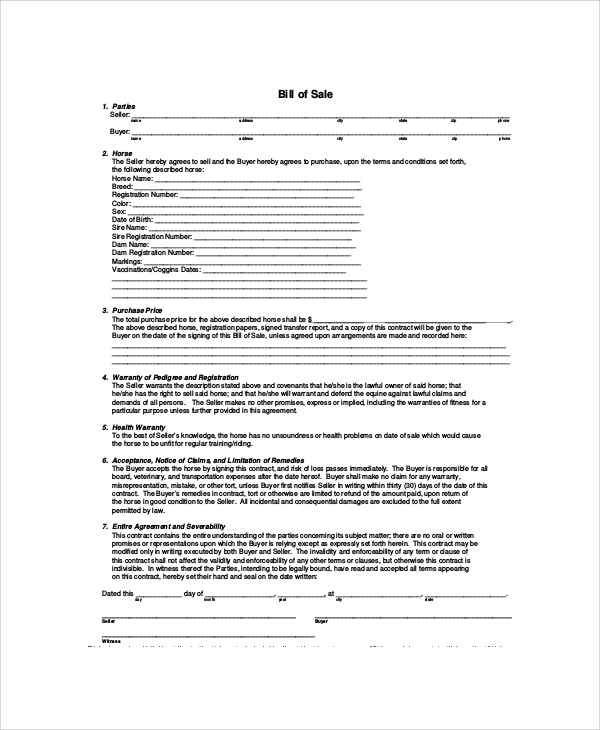 If you are selling a property and searching for sample property bill of sales for custom document creation, then download this document for reference. 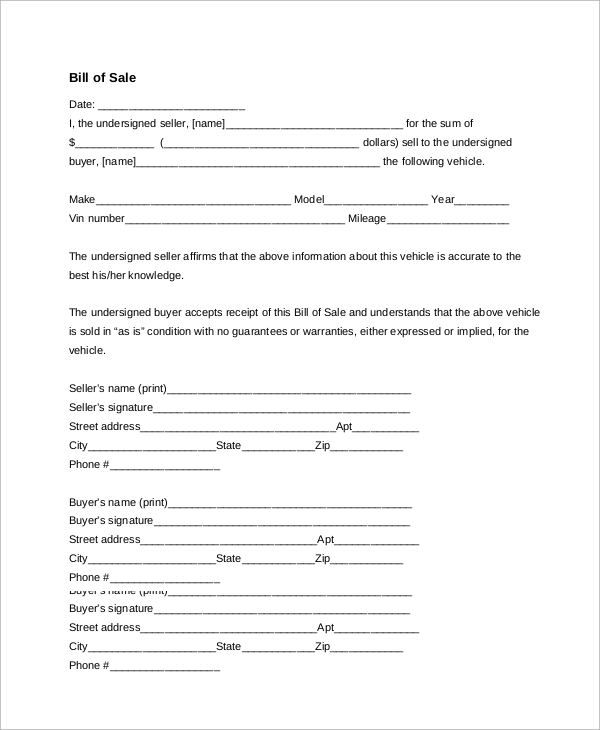 Bill of sales is a document that covers all necessary information about the product, the customer, and the seller. 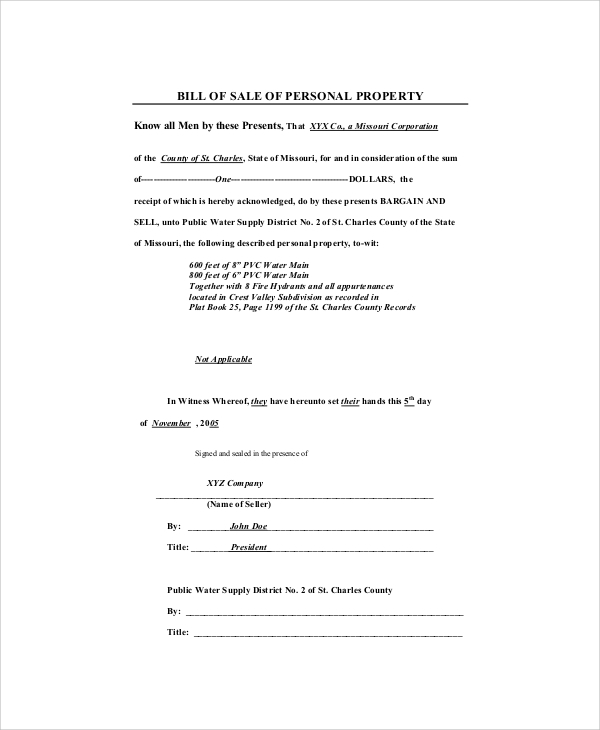 Bill of sale is important for both the buyers and the sellers. For the sellers, it is a record of sales and transaction that they present while filing the income tax. 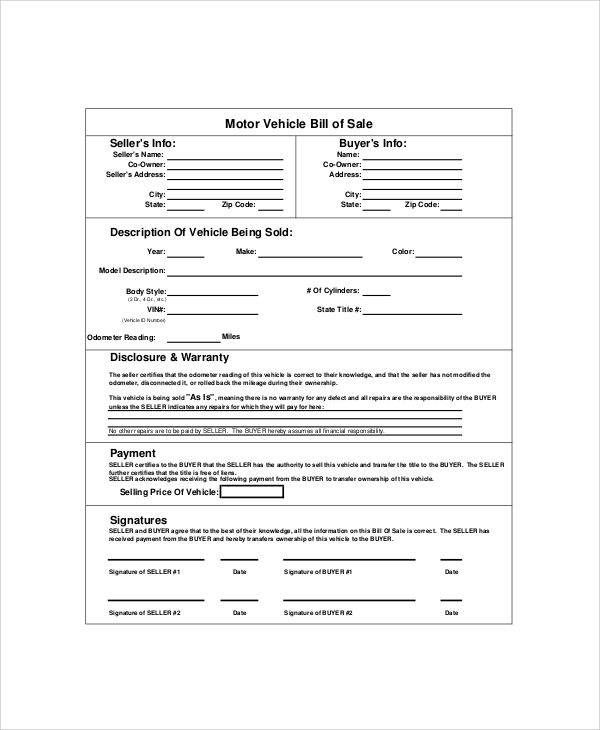 Customers need a bill of sales at the time of vehicle registration. Also, financial institutes and banks ask for a bill of sale if you are going to take a loan for buying a vehicle. Also, companies ask for the bill of sale if you complain/call them for repair and replacement under the warranty period. They use a Equipment Bill of Sales as a proof to analyze warranty period of the product. Our above sample bill of sale documents are helpful resources for sellers, copywriters, and lawyers. It can be used by any vendor including shop owners, distributors, retailers, etc. Our sample bill of sales provides free download and high-quality printouts. We hope our sales letter sample documents have made your task easier. If you still need help regarding bill of sales creation, then do connect with us for instant help. Our team will provide the necessary assistance.